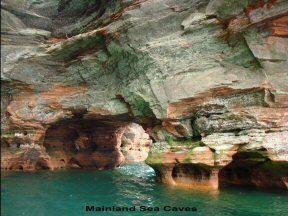 Come see the world famous Apostle Islands Mainland Sea Caves. 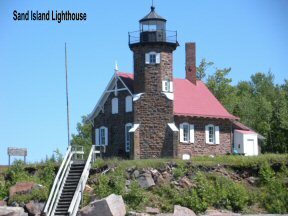 Good Earth Outfitters LLC provides power boat tours from Cornucopia, WI to the breathtaking Mainland Sea Caves and throughout the Apostle Islands. We are able to get much closer to the rock formations (and even into some of them weather permitting) than the larger tour boats. Our Captain will provide you with a historical overview and information while you have ample time for excellent photo opportunities. We also have a well-stocked gift shop with Lake Superior Jewelry from local artists and vendors like Minnetonka Moccasin, Sailor Bags, Lakegirl, Landstrom’s and More Polish Pottery to name a few. 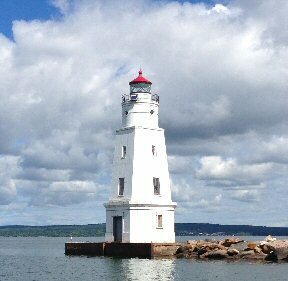 We are located in the Marina District of Cornucopia, WI next to the Green Museum. 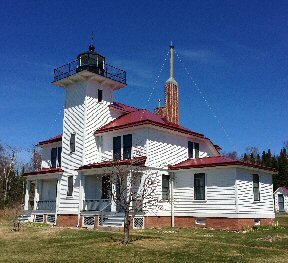 For your convenience please go to our website and book your tour online as tours fill up fast.